Preheat oven to 350°. In a food processor, combine the first five ingredients; pulse until walnuts are finely chopped. Brush a 13x9-in. baking pan with some of the butter. Unroll phyllo dough; trim to fit into pan. Layer three sheets of phyllo in prepared pan, brushing each with butter. Keep remaining phyllo covered with plastic wrap and a damp towel to prevent it from drying out. Sprinkle with 1/3 cup walnut mixture. Repeat layers 11 times. Top with remaining phyllo sheets, brushing each with butter. Cut into 36 triangles. Bake 35-40 minutes or until golden brown. Meanwhile, in a large saucepan, combine syrup ingredients; bring to a boil. Reduce heat; simmer, uncovered, 10 minutes, stirring occasionally. Strain syrup through a fine mesh strainer; discard chilies and cinnamon sticks. 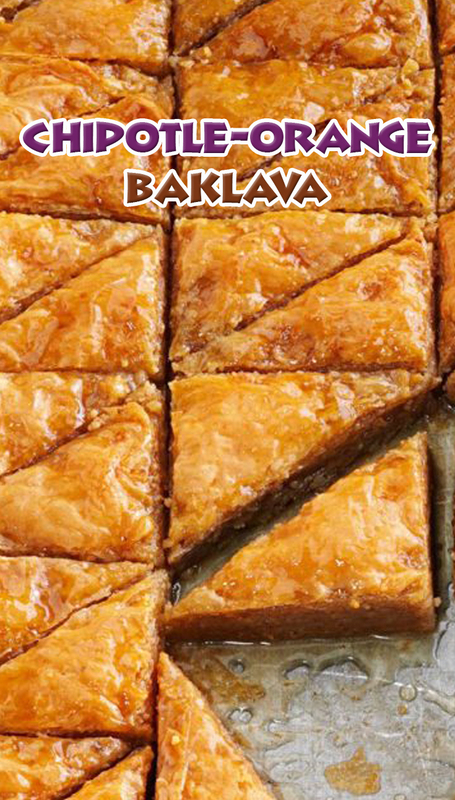 Pour over warm baklava. Cool completely on a wire rack. Cover and let stand several hours or overnight.